Green tea „ Peppermint Green”. Ingredients: Chinese green tea Sencha, peppermint leaves. Taste: mildly astringent with long lasting taste of mint. Brewing instructions: : Boil fresh water. Use 1 teabag per 200ml of water. Relaxing and cooling evening tea. In combinations with desert and cocholate. 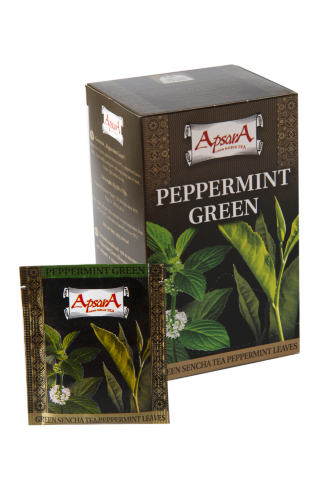 We bring a new dimension of taste for green and herbal tea lovers. Recipe was inpired by North African tea culture.